Jimmy and Tammy were on their first vacation together since marrying early last year. As much as they wanted to see Europe that was out of range of their budget at this time so they thought a visit to Quebec City would be the next best thing. Jimmy wanted to impress Tammy while away on vacation so he has started practicing some French so that he could order meals and read the menu. They left from Western Ontario and decided they would drive straight through to save some money. After driving for most of the night they had made it most of the way and were napping in their car when they awoke at sunrise outside the city. The sun rising behind the old buildings of the city’s silhouette gave a strong contrast to the orange of the sky. It was absolutely beautiful. They rolled into old Quebec City and found their hotel although too early to check in. They went in search of breakfast. Sitting at the table Jimmy decided he was going to order in French to impress his Lady. Jimmy was fairly successful in ordering mostly due to the pictures on the menu. His French didn’t work for him so well when he tried to order a beer for them later on in the day in one of the beautiful outdoor coffee shops. As he ordered a “bière” he didn’t know how to order the brand he wanted and they were given the most expensive beer available. After spending $25 for two beers he decided to order in English from then on. He was happy to see that many in Quebec City spoke English. It was cheaper that way! 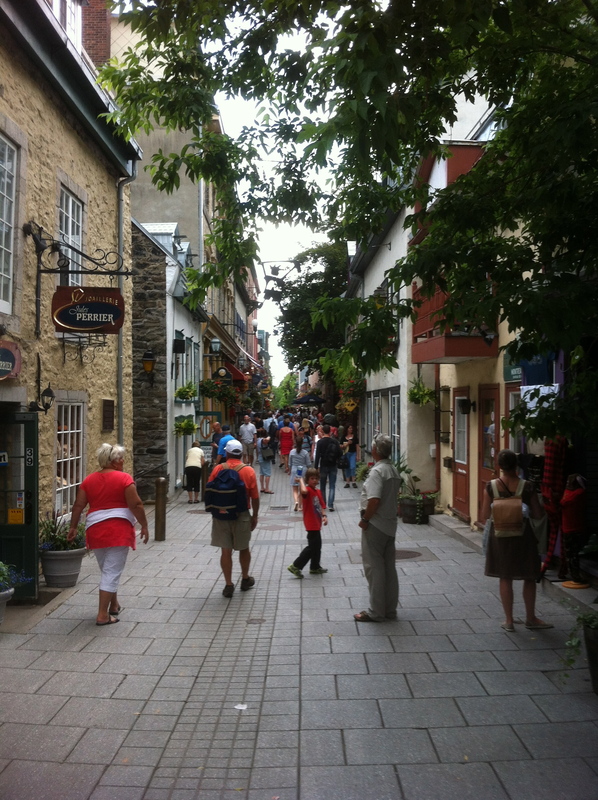 Quebec City is a beautiful place and the people are very nice. Since it is a tourist area you will find that most people speak English and French, but are always happy when someone tries to speak the language. Trying on vacation and trying in business are two different things and it is always best to get your documents translated by a professional translation business so that you are not misunderstood. If you get a chance to visit the lovely city of Quebec, take you camera, it is one of the most beautiful cities in the world, at least I think so! Carmen Outridge is the owner of Outridge Translation Services translating documents from French to English for the Quebec market. To learn more about Outridge Translation Services please visit their. Website at www.outridgetranslation.com and have your documents translated the way Quebec expects it!